DARMSTADT, Germany – Dec. 5, 2018 – TE Connectivity (TE), a world leader in connectivity and sensors, has launched the new SNK pluggable terminal blocks series, which helps industrial equipment manufacturers reduce installation efforts and optimize inventory levels. Mounting and testing time is reduced by connecting subassemblies with pluggable terminal blocks and harnesses. 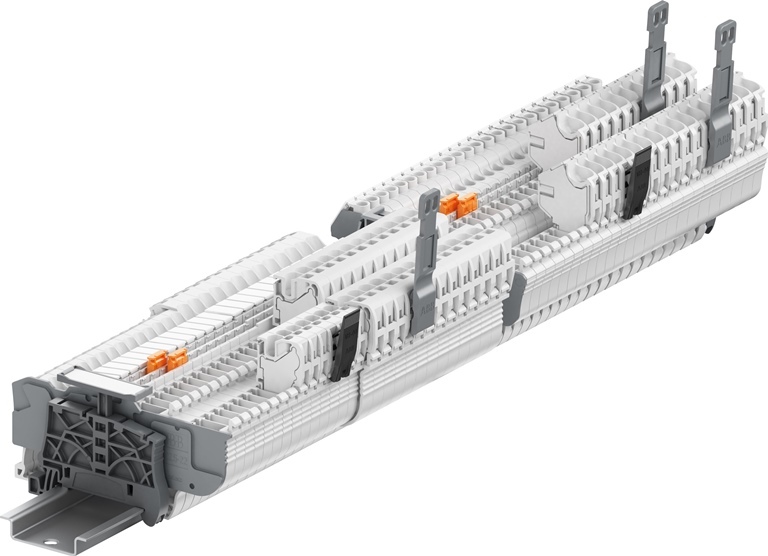 The pluggable terminal blocks enable customized on-site configuration and eliminate the need to stock a vast range of preconfigured solutions. 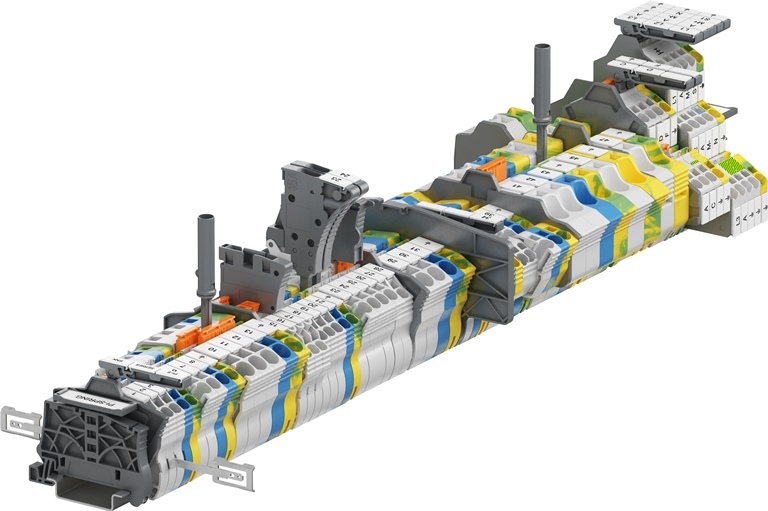 “The SNK pluggable series has been developed to help customers increase their productivity and secure their installation on-site,” says Frederic Stuckelberger, ENTRELEC product line portfolio director at TE Connectivity’s Industrial Business Unit. “Instead of wiring one terminal at a time, cables can be easily combined into assembled wiring harnesses equipped with plugs. The optimization of all the manufacturing, testing and commissioning operations enables cost savings and a reduction of labor time by up to 90 percent. This series is particularly suited for applications where products can face harsh conditions, such as marine, switchgears, elevators or railways. It has successfully passed the most severe vibration, shock and temperature tests. TE’s ENTRELEC pluggable terminal blocks offer a 15 percent footprint reduction compared to market average. The optimized size of the plugs provides larger marking surfaces for better visibility and identification of circuits. It is easy to create female plug assemblies without tooling from two to 15 poles by using only two plug variants which will reduce the stock of unitary plugs by up to 30 percent. The sub-assemblies of the industrial equipment can also be easily disconnected for transportation. The installation on-site is 100 percent secured thanks to the error-free coding system. Creating a coding sequence prevents a group of plugs from being inserted into the wrong circuits: just put a coding peg in one terminal block and cut the pin on the plug just opposite. As an additional safety measure, a locking device can also be added to prevent any risk of break in connection in case of accidental wire pulling. It has an automatic locking function which can safely and simultaneously lock two to eight plugs with only one locking device. The version with a cable clamp can be used to group several cables together. The SNK series pluggable terminal blocks comprises the PI-Spring technology and the screw clamp technology. They combine the benefits of SNK smart connections with the flexibility and performances of the plug-in connection. The connecting capacity is going from 0.2 to 6 mm2 (26 to 10 AWG). ENTRELEC, TE, TE Connectivity, the TE Connectivity logo and EVERY CONNECTION COUNTS are trademarks of the TE Connectivity Ltd. family of companies.